Just in time for summer! Here is our twist on the classic summertime staple coleslaw. Our version is chock full of probiotics, those friendly little intestinal critters that science is just raving about these days. Great for your digestion, immunity, and even mental health, there’s just so much to love about these little guys. We strongly recommend you get a heaping daily dose of probiotics, both through fermented foods and other dietary sources (check out our blog for the top 5), and through a good quality supplement. 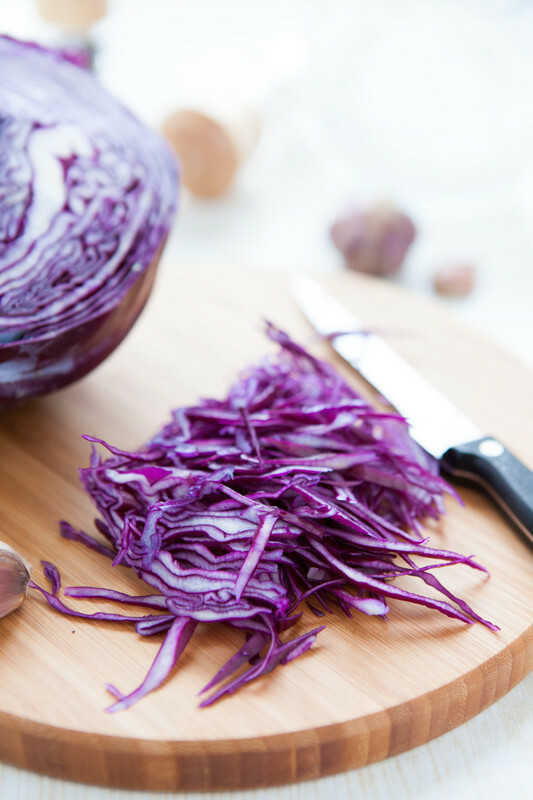 And our cultured slaw is a simple, delicious way to start! This and so many more amazing probiotic-rich breakfast, lunch and dinner recipes are featured in our fully customized Free Health Report, so make sure to get yours TODAY! Combine all the vegetables in a large bowl. Whisk all the dressing ingredients into another bowl. Toss the salad with the dressing. Cover and let sit in the refrigerator for at least 1 hour.